Back in 2009, over lunch at work one day, a colleague and I decided to go on an impromptu trip to Malaysia that month trying out the then new budget airlines to Sri Lanka. 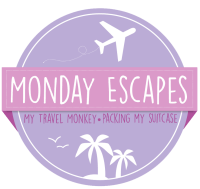 We decided we would start our short holiday at Langkawi, the archipelago off the north-west coast of Malaysia, and make our way down to Kuala Lumpur for our flight home. It was late evening and raining heavily by the time we stepped out of our taxi at the hotel, in the Pantai Cenang beach area. So, our first impression of the place was a grey dismal area and this impression was not improved as we were shown our rooms in the concrete block that called itself a hotel. The next morning, things looked much better perhaps because we had had some rest or because the sun was out. We hired a taxi after breakfast to drive us to the oriental village as we wanted to take the cable car to the top of Gunung Mat Cincang. The drive along the south west coast of Langkawi was beautiful and gave us lovely views of the sea and the numerous yachts dotting the coast. Langkawi was certainly a destination for the sailing enthusiasts who would no doubt love exploring the ninety nine islands of Langkawi. The best aspect of the drive was the contrasting scenery on either side of the road – the sea on one side of the road and the lush, green paddy fields on the other side with the mountains and cliffs ahead of us. We learnt that our destination for the day, Gunung Mat Cincang, had a folk story attached to it. According to local myth, Mat Cincang and Mat Raya were two giants who were about to become relatives through a marriage alliance between the families. However, the groom’s misconduct at the wedding party caused a fight between the two families and pots and pans were thrown around. Finally, peace was mediated between the two families and the two key figures that started the discord turned themselves into stone in repentance. They are considered to be the two mountains facing each other, Gunung Mat Cincang and Gunung Mat Raya. There is a little hill in between the two which is considered to have been the mediator of the truce. Many places in the island therefore have been named after the folk story and have been called the place ‘where the pot fell’, ‘the gravy seeped through the ground’ etc. Around 10a.m., we took the cable car ride up the mountain to the topmost point at around 700 m above sea level. The winds were blowing very roughly so the gate that led to the walk across the sky bridge was closed that day and even the viewing point at the top was to be closed again soon, even though it had just opened for visitors. We were lucky to have caught the right window to go up the mountain and access the viewing point platform. The view of the island was absolutely wonderful. After the cable car ride, we returned to the hotel and checked out. While waiting for the cab, we decided to have lunch at a little cafe near the hotel where I tried out the ‘kampung’ (country style) rice and vegetables with fried fish. Finishing the tasty lunch, we took the taxi to the jetty point and took the speed boat ride to Kuala Kedah, a rural fishing village. The taxi drive from the jetty to the inter-city bus station took us past a village which seemed to have a lot of scrap work-yards. It reminded me of Panchikawatte in Colombo. Rows and rows of shops with vehicle parts and scraps. At the bus station, we boarded the Transnational bus to Butterworth from where we took a ferry to George Town, the capital city of the state of Penang and a world heritage site. It was again raining heavily that evening, yet the waters seemed very busy with the ferry crossings. The ferry ride was a short one and we took a taxi to our guesthouse, which I had looked forward to staying at as the Old Penang Guesthouse was the No 1 specialty lodging in Georgetown that year, according to Trip Advisor. Upon arriving there, we were greeted by a young woman seated at the desk at the entrance who briefed us on the rules at the guesthouse – no shoes allowed on the upper floor starting from the staircase, make-your-own breakfast with the available supplies in the morning etc. The ground floor was packed with fellow guests flocked around the TV lounge and the tiny dining area, as we made our way to the staircase. While it is a custom in Sri Lankan homes to leave one’s shoes at the entrance before entering a house, it seemed strange to do the same in a guesthouse. We left our footwear at the bottom of the stairway and carried our bags up the steep wooden staircase. Our room, No 10, was at the end of the corridor and overlooked the back street. The place looked cosy and clean, especially after our dismal accommodation the previous night. The windows attracted me as they seemed to give the room a very old feel with the floor to ceiling shuttered bamboo panels, which was in keeping with the age of the house though the furnishing of the room was modern. As we had had a long travel and got a bit drenched in the rain towards the last part of our travel to the guesthouse, we decided to shower and change before we went out for dinner. The shared bathrooms had two shower cabins. As I tweaked the shower knobs trying to figure out how it worked, I heard the singing of some performer across the road. As I finally worked out the knobs and a cold stream of water hit me, the voice went a pitch higher and was so shrill. My friend, who was in the adjacent cabin, was also taken aback by the shrill pitch. After a few moments of silence, we both started laughing as the situation suddenly seemed very funny. The rain pouring outside the old guesthouse, the shower room with a skylight, the cold water shower and the shrill voice of a local opera singer who kept shrieking at even higher pitches at intervals combined to give us the most funniest and memorable experience in Malaysia. We tried out a little restaurant recommended by our trishaw driver for dinner. I had tasty meal of mee hoon noodle soup with fish balls and some green tea though my friend did not like her vegetarian selection. When we got back to the guesthouse, I did not feel comfortable leaving my new shoes at the bottom of the staircase so I decided to carry it up to my room. The next morning, I forgot the ‘wear no shoe upstairs’ rule, put on my shoes and came down for breakfast. So did my friend. We remembered the rule midways down the stairs and as it didn’t make sense for us to remove the shoes at that point, we just continued down the stairs hoping that the guesthouse staff would not see us. Unfortunately, just as we reached the last few steps, we saw the manager of the guesthouse at the foot of stairs, his arms full of breakfast supplies, looking up at us and frowning with displeasure. As we walked to a free table, he came up to us and sternly admonished us ‘next time, no shoes’. We felt like a pair of school kids in a hostel as we apologized and went to get our toast and coffee. After breakfast, we took a taxi to the funicular station at the bottom of Penang Hill. We got tickets for a ride on the old-fashioned train going up to the top of the hill. The train ride up the very steep track took a long time and as it was a cloudy day, the view of Georgetown from the top of the hill was quite blurry. After our morning at Penang hill, we checked out from the guesthouse and took the taxi back to Butterworth terminal, this time over the longest bridge in Malaysia. Penang Bridge is among the top 25 longest bridges in the world with a length of 13.5 km. At the terminal, we got our tickets on the first counter that we came across which stated ‘Butterworth – Ipoh’. The bus was scheduled to leave within minutes so we got onto the bus immediately. However, we had to wait an hour or more as the bus driver waited to fill the bus with passengers. Eventually our bus was on its way. Around 3pm, the bus driver stopped for a break and we decided to have some lunch at the food court. I had ‘nasi lemak’ which was rice cooked with coconut milk (the Malaysian version of the Sri Lankan ‘kiribath’) and served with a little chilli paste in wrapped in banana leaf and a lychee drink. The box drink reminded me of my first years of school in Indonesia where the lychee box drink was an essential part of my school snack pack. Arriving at Medan Gopeng bus terminal in Ipoh, we took a taxi to the hotel and checked in. We decided to then go for a short drive around the city, have dinner and then avail ourselves of the hotel spa’s complimentary foot massage. As my friend had not been enjoying the local food that we tried out during the last couple of days, I looked up vegetarian cafes and found that one was located opposite the Sam Poh Tong cave temple. I felt that it would be a lovely outing combining a temple visit with dinner. The taxi driver informed us that Sam Poh Tong would be closed at that time but we said we would like to go there anyway as we wanted to go to the vegetarian cafe. He drove us beyond the city to a more rural area across paddy fields surrounded by hills. It felt a bit isolated as dusk was setting in and I was wondering if we should just turn back. Anyway, he soon stopped at the entrance of a cave temple. The gates were locked and I saw the name in front of the temple was not Sam Poh Tong but Kek Look Tong. We again asked the driver to take us to Sam Poh Tong. He drove us back and pointed out Thai temples along the way. As he was very much focused on Thai temples than Chinese temples, we asked if he was from Thailand originally. We didn’t get an answer to that but heard a long monologue about the Thai monks in the temples. Finally, he stopped at another cave temple where the gates were open. He said that this was a temple where he came often to pray and it was a Chinese temple with Thai monks. After exploring the cave temple a little, we asked the driver to take us to a restaurant with vegetarian food. He took us to a Chinese restaurant, which seemed to be packed with Chinese families and my friend thankfully seemed to finally enjoy her meal of vegetarian fried rice. Though I had initially planned that we explore some underground caves the next morning, my friend said she was not interested in more caves after our brief glimpse of one cave temple so we decided to continue on to Melaka instead. We took the taxi to Medan Gopeng bus terminal in Ipoh around nine in the morning to catch our bus to Melaka. The next set of buses to Melaka seemed to leave only at 11.30a.m. and the Transnational bus only left once a day at 1p.m. As we wanted to have the whole afternoon and evening for exploring in Melaka, we decided to go for the next best option, which was taking the bus to Kuala Lumpur and from there transferring to another bus headed for Melaka. We found a bus leaving within a few minutes for the capital city so we settled down for the four-hour drive to Kuala Lumpur. The conductor who was a Malaysian with Indian roots chatted with us in Tamil. After clarifying that we intended to travel on directly to Melaka from Kuala Lumpur city, he suggested that it would be faster for us if we got down at Klang Sentral without going into the city and take the connecting bus going from there to Melaka at 1pm. As this would save us time, we happily agreed and he conveyed this to the driver in Malay. The inter-city buses didn’t seem to make stops on the way so I was not sure if the driver would make the stop specially for us but true enough, as we approached the highway area which had signboards stating ‘Klang’, ‘Cyberjaya’, ‘Putrajaya’, the bus made the detour and the driver took us right up to the Melaka terminal at the bus station. We were the only ones dropped off. The kind bus staff wished us a good journey before resuming their drive towards Kuala Lumpur. The Transnational bus started off from Klang Sentral at precisely 1pm and we reached the UNESCO world heritage city, Melaka, in two hours. From the Melaka terminal, we took a taxi to Baba House , a Peranakan historic residence located in the old heritage part of the city. We checked in and made our way to our room located towards the end of the first floor. While Baba House seemed a tiny place from the outside with small doorways, the interior seemed to be extensive with several passageways and interconnected houses. The house was very old with many rooms. We were shown our tiny air-conditioned room. The room was not one where one could stay in and rest as it had a closed in feel to it because of the lack of windows. Well, there was a tiny window but it opened onto the passageway and was located right beside the door handle so we were not comfortable leaving it open. After settling in, we decided to go to Coconut house, the café opposite Baba house, where we had a wood-fired pizza. After our filling meal, we decided to go and find a money-changer’s shop before we explored further as we had run out of ringgits. We walked towards the town hall but couldn’t find any along the way so we asked a passer-by who pointed to a little street. We did find a money changer’s place there but it was closed. So, we continued our walk along another street when I realized that it was the Jonker Walk street mentioned on travel websites. The street was lined with touristy shops. We located the tourist information office opposite Stadthuys, the town hall, but it was also closed though the opening hours mentioned on the door indicated it would be open till 6pm on Saturdays. While we were wondering how we would get some cash in the Malaysian currency, I spotted the brightly coloured and garishly decorated trishaws playing loud Bollywood music. We decided to go for a drive around some of the historical parts of the city and stop at a money change’s place along the way. The driver took us first to the ruins of the Portuguese fort, A Famosa, and the surviving gateway, Porta da Santiago, and said he would wait at the entrance while we explored the ruins. Continuing our trip, the guide pointed out two Melaka trees, which he stated was the source of the origin of the name of city founded in 1377 by Raja Parameswara. Then, he drove us past the river cruise starting point, past the maritime museum and onto the more commercial part of the city. The driver proudly told us that the trishaw was the ‘king of the roads of Melaka’, as he meandered slowly among larger vehicles and impatient drivers. He stopped at the Newton food court so that we could change our money and dropped us off at the starting point of the river cruise as we had decided to take that cruise next. As we cruised along the historic, albeit dirty and stinking Strait of Malacca, on a little tourist boat, we joked that it was like going for a cruise on Beira lake in Colombo. Though Beira lake has cleaned up well in recent years. Despite the stench of the river, the cruise did give us an interesting view of the city – both its historical part with the ruins, buildings and churches and the modern cafes and buildings as well as glimpses of the dwellings of the poorer inhabitants of the city and the traditional Melakan houses. After finishing our cruise, we decided to walk back to Baba House cafe via the Jonker Walk street. As the weekend market on Jonker walk street was in full swing, the street was fully packed. I wanted to try out cendol, a much raved about Malaysian delicacy so we stopped at the sweet house on the street. The cendol I tried had tapioca pearls and tasted of palm sugar which was a bit of a strange combination for my taste buds. After walking around for a while, we decided to return to Baba house and booked a cab to take us to the bus station the following morning. The next morning, we found the tiny café of Baba house packed with queues of people. We eventually managed to get our breakfast tray and made it over to one of the quiet inner courtyard table. The view from our breakfast table of the surrounding and especially, the view of the sky and the paintings on the first floor verandahs was lovely. We took the KKKL line from Melaka to Kuala Lumpur, recommended as the fastest by the hotel staff and we reached the city by 11.30am. We arrived at 41 Beranggan, our guesthouse for the last day of our Malaysian holiday just before noon. After checking in and dropping off our bags in the room, we went to Mid Valley mall for some shopping. My friend was most in her elements as she is addicted to shopping especially when it comes to branded clothing and accessories. I, on the other hand, avoid shopping until and unless they are essential and then too, only with a list in hand. So, we decided that we would go our separate ways and meet up at a central point later in the evening. On our way back to the B&B, I had a last minute idea that it would be nice to drive by Petronas towers before returning to our guesthouse. I couldn’t resist taking a few photos of the structure looming above me. We took the flight back home early the next morning, concluding our 5 day road trip across Malaysia. While I do not think I would repeat such a whirlwind trip, I did enjoy this particular one trying out different types of public transport in Malaysia. My favourite place during this trip was Langkawi for its scenic beauty though when it came to accommodation, the favourite without question was the Old Penang guesthouse in GeorgeTown.